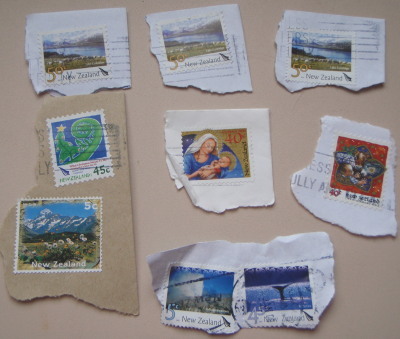 This week I received quite a few Postcrossing postcards, and a curious gift from our builder. 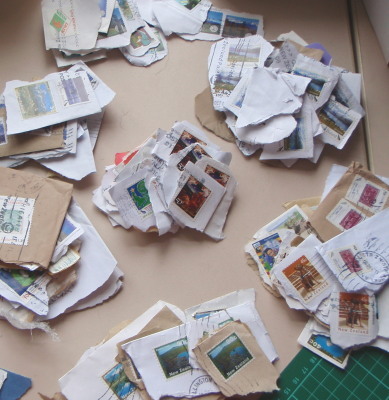 He discovered that I liked postcards – turns out he collects stamps, and he gave me a bundle of old postcards that he was about to throw out. So now my mission is to find out what I can about them. They are French, German, Swiss, and one Italian one, and maybe up to 50 or 60 years old. 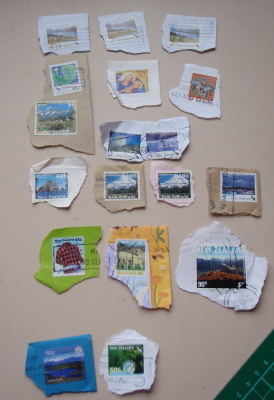 So today I’ve been having a little lesson about the Swiss Alps – as it happens one of the Postcrossing cards I received this week is a picture of these mountains, along with two of the mystery postcards! 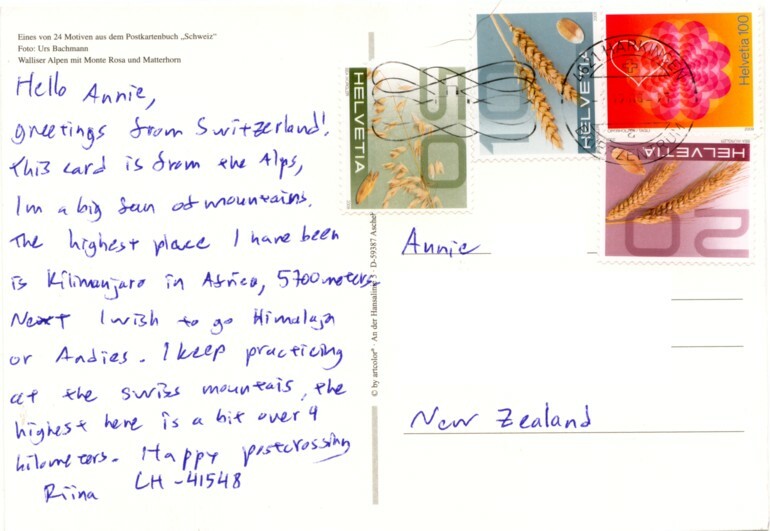 Firstly, my Postcrossing card which is from Somedaisy in Switzerland, and took 11 days to get to me. It seems that Somedaisy is a very energetic person as she wants to do some serious mountain climbing! This picture is the Walliser Alpen (otherwise known as the Pennine Alps. ) This mountain range is partly in Switzerland and partly in Italy. It has high peaks – 10 of the twelve highest peaks in Europe – and steep deep valleys. It is a very culturally diverse area and often different languages are spoken in neighbouring valleys. Two famous peaks that are in the Pennine Alps are the Matterhorn 14692 ft/4478 m and Mount Rosa 15203 ft/4633 m. It is possible to drive THROUGH this mountain range via the 5.7 kilometre long Great Saint Bernard Tunnel. It is also possible during summer to drive OVER the Great Saint Bernard Pass. Both the pass and the tunnel are named after St Bernard who founded a hospice and monastery high on the Pass in 962 in order to assist those who were attempting to cross the Pass. 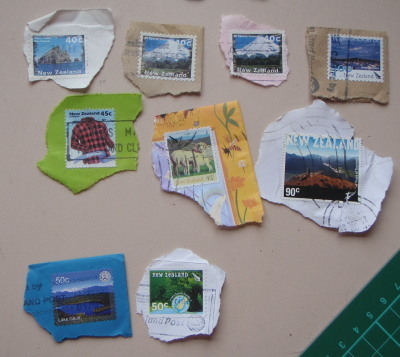 Now – the first of my puzzle postcards. 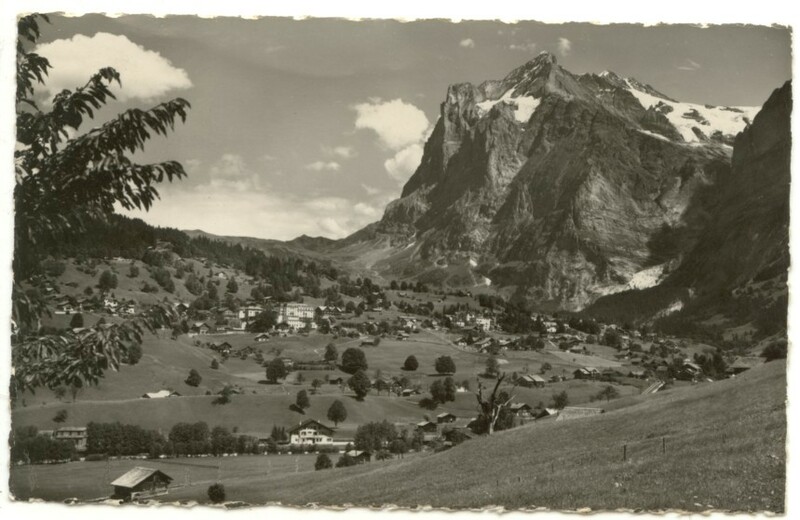 This is a view of the village of Grindelwald, and the Wetterhorn. The Wetterhorn is a peak in the Bernese Alps of Switzerland. Its tallest summit is 12142 feet or 3692 metres, but there are actually three summits of almost similar heights. 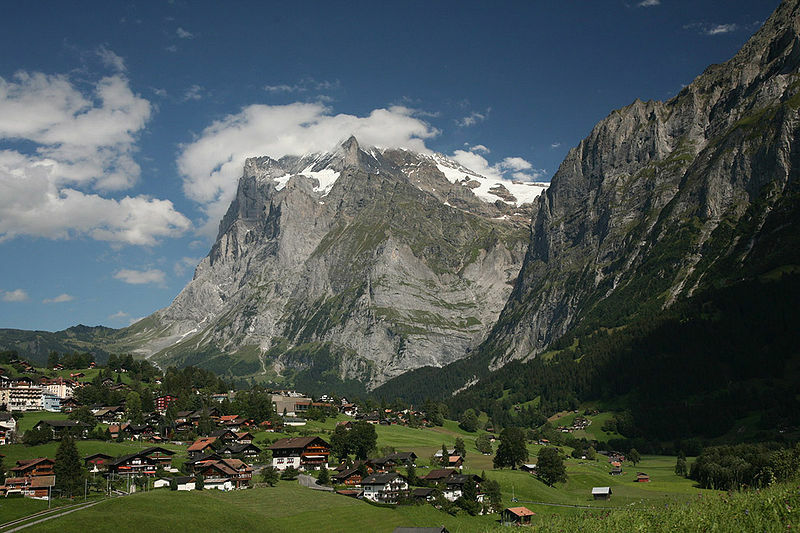 Grindelwald is also the name of the municipality (county) that the village is in. It is a small village with a population of around 4000 people, and tourism is important to the whole area – as you might expect in such a beautiful part of the world. The scenery around the area has had a starring role in a range of films including a James Bond movie, a Star Wars movie and The Golden Compass. The photo below comes from my old friend Wikipedia, and shows almost the same view as the postcard. PB and I have been trying to figure out if any of the buildings are the same!! My puzzle is – how old is this postcard and is it possible to tell when the photo was taken – which may or may not be the same era? So any ‘vintage’ postcard people out there – please help me out. So puzzle postcard number two. 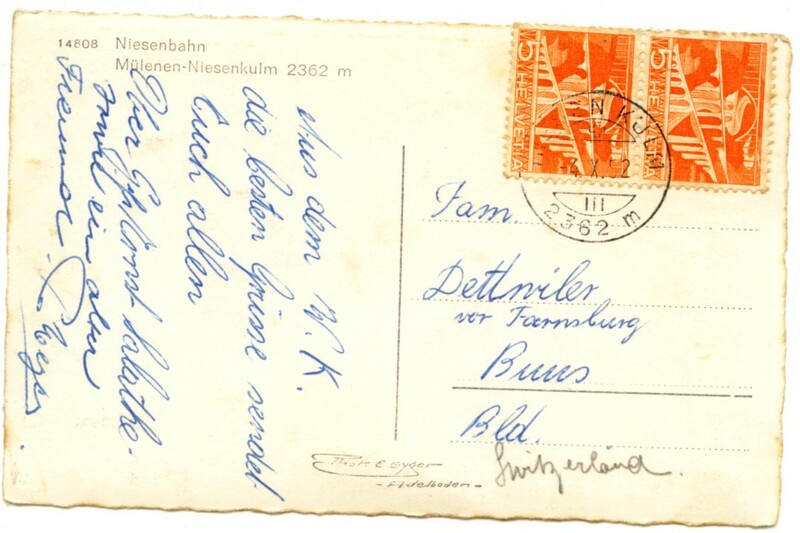 This one has a little more information in that it has been postmarked, and written on (in German?) 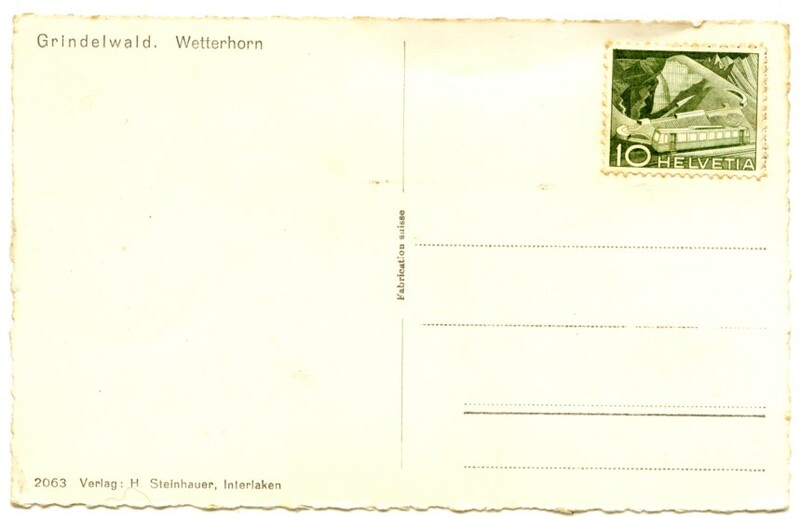 The postmark says -4.X.52, which I’m reading as 04 October 1952. And also the numbers 2362m – which I’m suspecting is the height of the mountain as that is also on the postcard – so perhaps it was specially postmarked as a touristy thing at the top of the mountain. 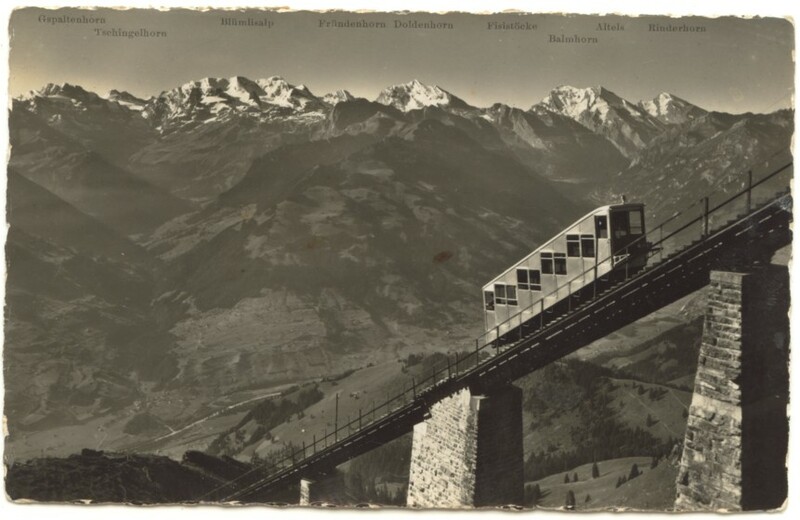 The funicular is called the Niesenbahn, and was opened in 1910 – which I imagine must have been quite a feat of engineering in its time. It continues to run today during the European Summer but according to its website , it is in ‘hibernation’ at present! This is basically a type of cable car where the carriage travelling down balances the one travelling up a steep incline. The Niesenbahn is the longest ‘continuous cable’ funicular in Europe. There are steps going up the mountain beside the funicular that are used for maintenance and it is reputedly the longest staircase in the world. The Guinness Book of records says so, so it must be right, but unfortunately only maintenance people can access the steps. The village at the bottom of the Niesenbahn is called Mulenen and the summit is called Niesenkulm and is at 2362 metres. 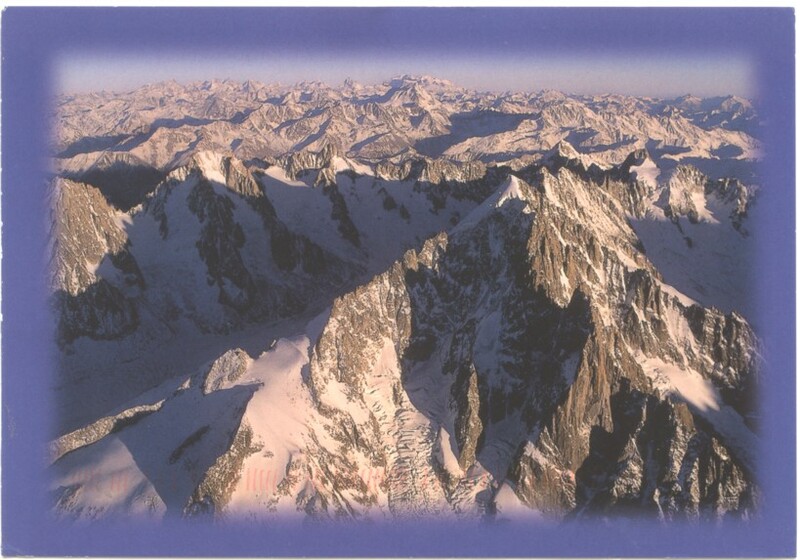 The other interesting thing about this postcard is that it has the names of the peaks printed right on to it – but I think I’ll have to get out a magnifying glass to read them!